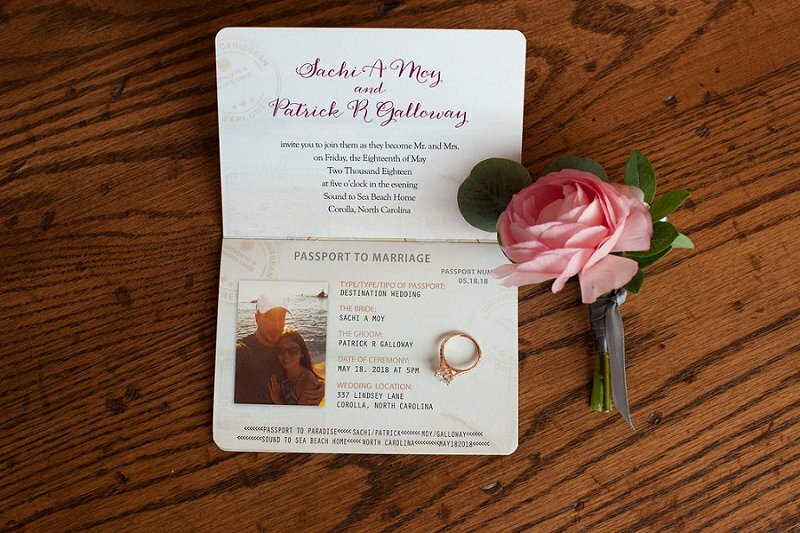 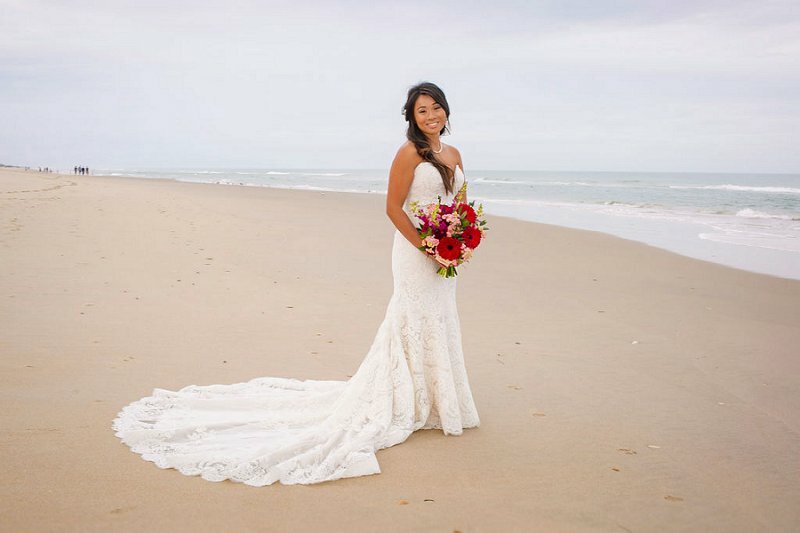 Though Sachi and Patrick hail from Chicago, a proposal on the beautiful beaches of Cabo inspired a destination wedding that would bring friends and family alike to a private beach home in the Outer Banks for their celebration. 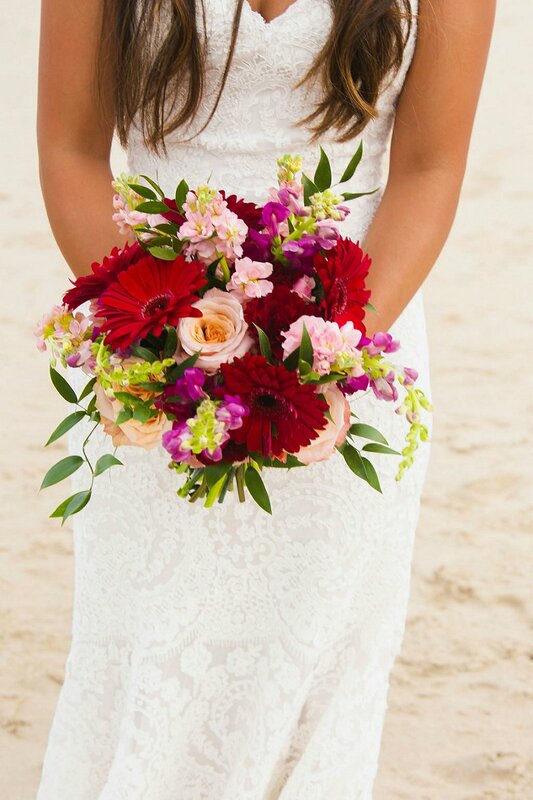 It was their dream to feel the sand between their toes and hear the ocean in the background while surrounded only by the people most near and dear to them for an intimate but memorable day. 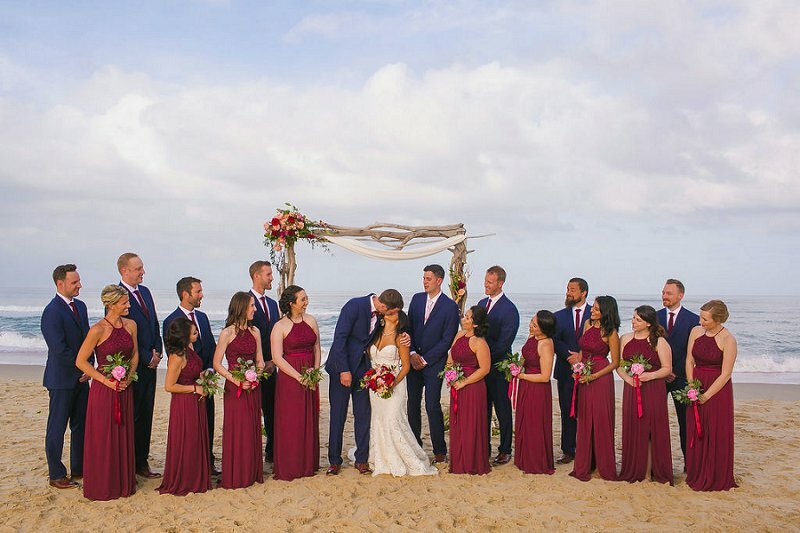 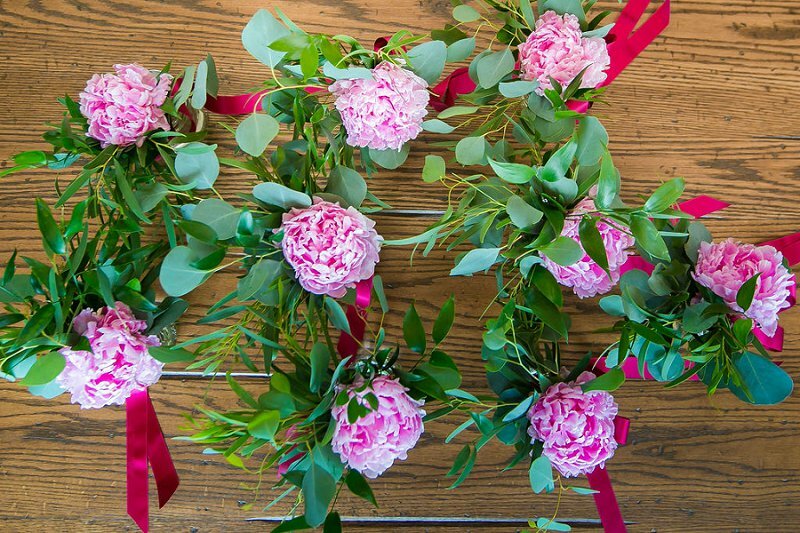 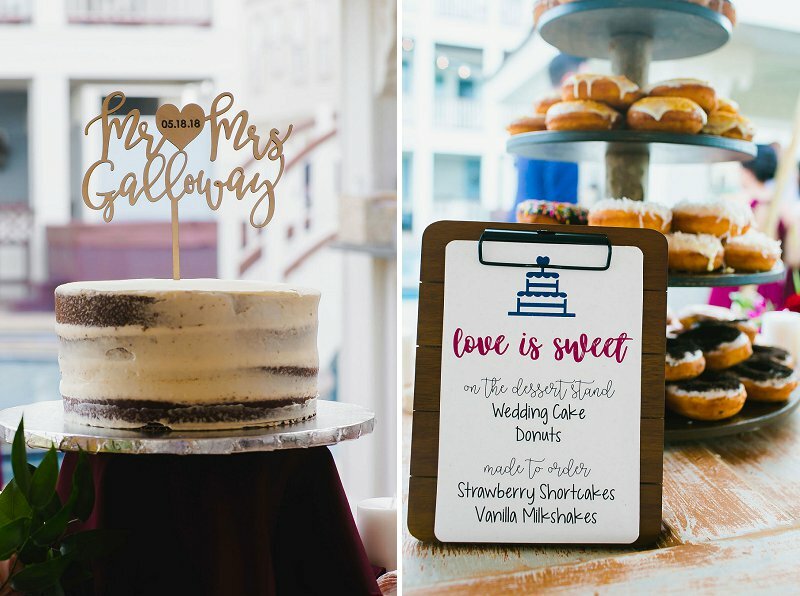 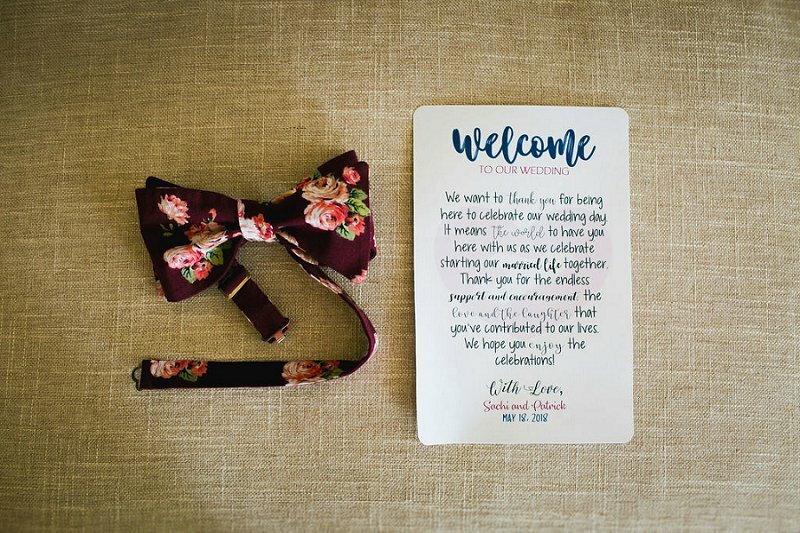 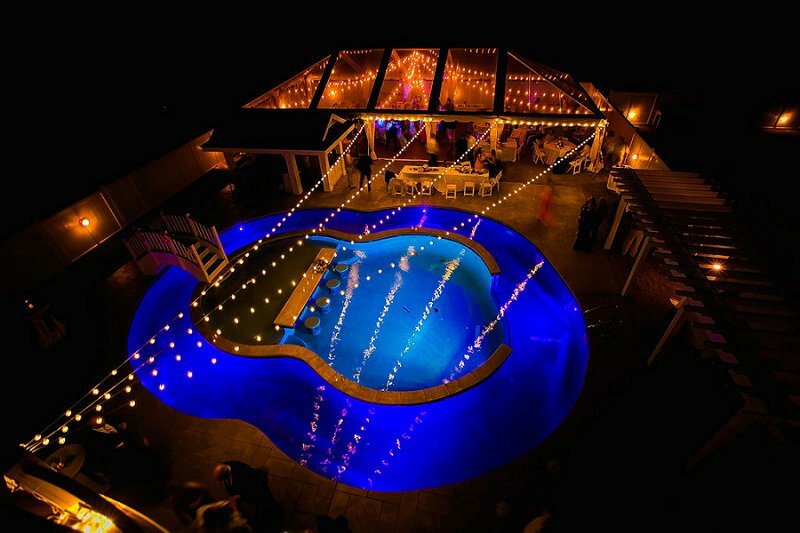 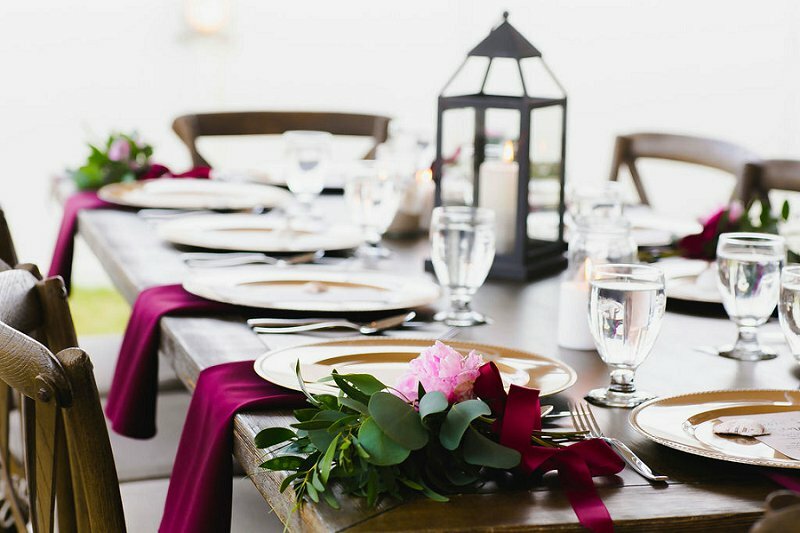 With this vibe in mind, Heart of Harlow designed the oceanside wedding of their dreams with pops of pink and burgundy that contrasted against the blue waters of Corolla. 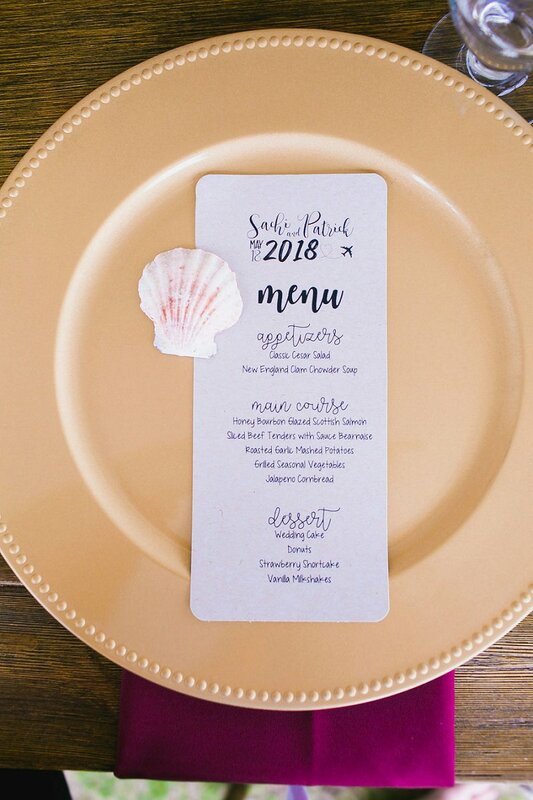 Gold chargers and natural wood elements brought wedding sophistication to a relaxed and beautiful day captured by Julie Dreelin Beach Productions. 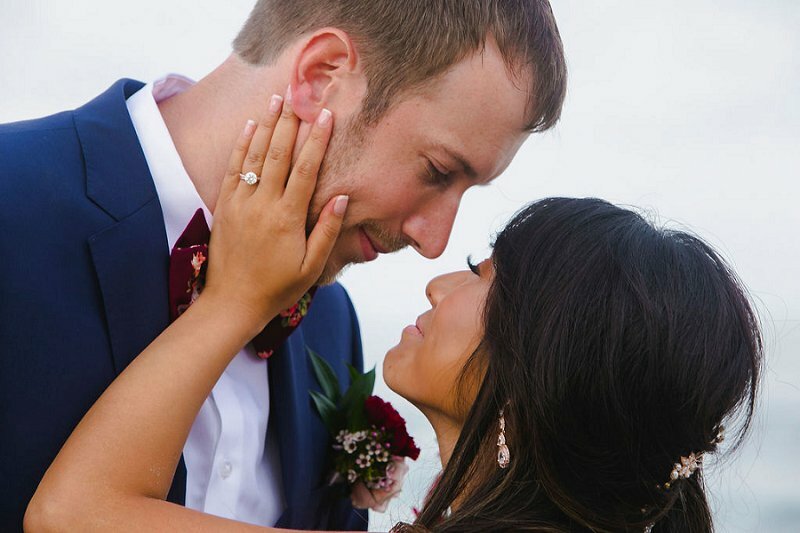 Over a decade after Sachi and Patrick first said yes to a relationship together, they finally said I Do to forever as the waves lapped against the shore and the cool sea breeze wrapped around them.